Are you crazy for embellishments? Then this contest is for you! 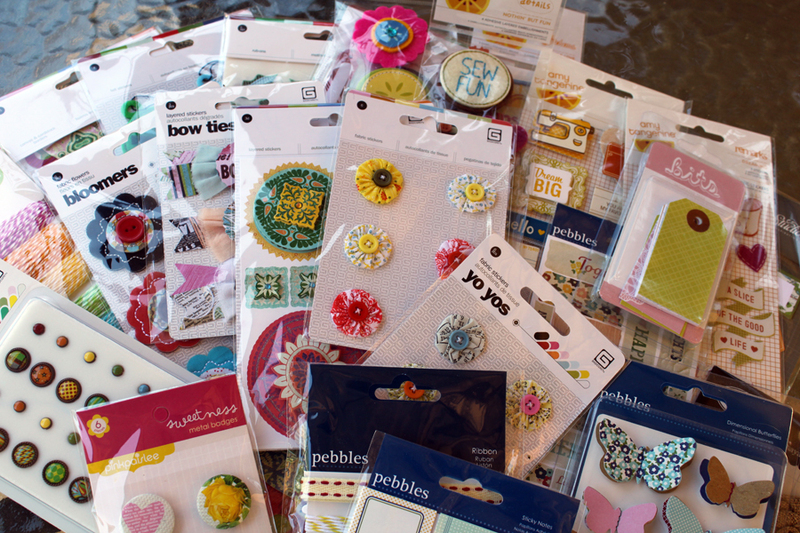 This is a HUGE assortment of awesome embies from BasicGrey, Pebbles, Studio Calico, Maya Road and Amy Tangerine, ready for a new home! Fun sketch. I hope I have time to play when I return from vacation. Beautiful sketch and what an awesome prize package!! What a fun sketch and great prize. Thanks for the opportunity to win. I can't wait to see what I come up with. Love the sketch and an awesome prize...can't wait to get started! 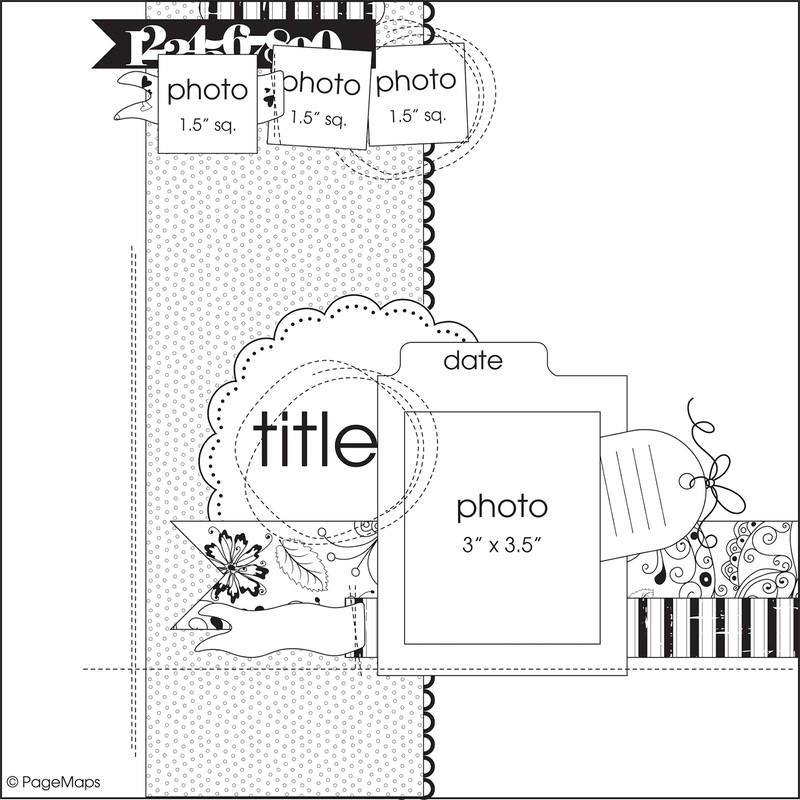 I love Page Maps, I may have to give this a whirl. What a beautiful sketch. I will try. So this gave me just what I was looking for to get me motivated!! This was such a fun sketch to play with! I just loved it!! I used a July sketch. I thought we could use any of the July sketches? Here is my version of the sketch. I have used My Mind's Eye products for my layout. Here is my version of the sketch. I used Bazzill, Bo Bunny, and SU papers. The images are from the Greeting Farm. This is my take on this sketch :) Thanks! Yess, i've had to make a blog on wordpress to show my page but here it is. Anyway, I really like the sketch that Becky has designed here. It was really fun working with it and creating a page about 2 of my children. I loved making this sketch! Hi, Since one can never have enough embellishments, seems I'm always short on those ;-) I figured I would give this a try. Was lots of fun, thanks for this sketch/contest. I love this sketch, awesome prize, count me in! i really enjoyed this sketch , it was perfect for my sons zoo trip layout, thank you! Thank you for the opportunity to win this great prize! 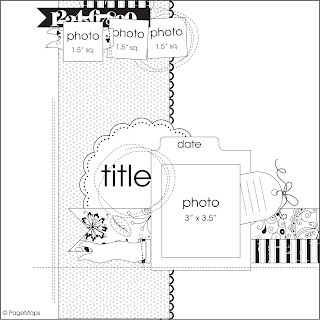 My layout photos are of me & Tim Holtz. Enjoy! oops,sorry this one is the right link! Great sketch and what an awesome prize. Thanks you! Thank you for providing us with such a fun sketch - it was just what I needed to find my lost Mr Mojo :-). Great sketch!! I really enjoyed using it. I stretched mine into a 2 page layout. Thanks for the great contest. Always find lots of inspiration here!! Here's the link to my entry on my blog. Here is the two page layout I came up with. Such a entertainingDiablo 3 gold make and also excellent treasure. Basically possibility to gain. I cannot wait around to view some tipsDiablo 3 items i think of. I love the sketch! I'm so glad I found your blog. Here is my page based on your sketch. I loved this sketch and this is how I have used it. Thank you. I had so much fun with this sketch Becky, as usual, your sketches hit the spot, so to speak! Here is my page. I like drawing, so that's what I did. Hey there, this is my attempt to win this contest. It's my first try at digital scrapping. Please tell me what you think of it. thank you for the sketch, here's the page I made with it. Thanks for the contest and the chance to win! I just found Pagemaps today and I just finished this LO and then it fits in with this challenge. Terrific sketch as always! I changed it up a bit to include larger pics and a journaling square! But later crossed 4450, an achievement group happened exactly the group you reach people achievements wow gold are almost at this stage, and then we began to organize themselves together to find purple name. which could be positioned on Buy WOW Gold clearance inside the store will be also on the internet as well. So even in circumstance you do not possess a good silk GW2 Items scarves for womens going to in-person, you can a good offer better your odds by browsing Buy WOW Gear the Hollister on the internet store. Again fantastic submit. Come on and blogging your website may well be more attractive. I always enjoy the interviews. I'm a editor of game site, you can visit and find diablo 3 gold, i like it very much.
. Want to fight for reminding me, the really ask for advice, thank you. The way, I often shake the determination to play soldier, that play their own version of the soldiers told Xiang. And crab weaken the means of the soldiers is not really sinister. Someone asked me to play God of God hunting surgery Lord, but I play the game from the beginning like melee, so I do not like those strong remote. RE DK what it? Everyone should learn many things from his or her childhood. The teacher is his or her parents or elder. But I think buy cheap android phones whoever you are, we should study harder and learn some things from the educated people, even the people who doesn't get good education, only who can teach you some good thing,it's great! Love this specific! Sure makes biking seem exciting! :)I like this Nokia cases idea, the whole getting pregnant of creating overlooked cable connections aesthetically. Awesome. Awesome. Amazing! !Currently, Iphone 4 cases I am looking for ideas for making throughput noticeable with the wall.Fantastic! Love this specific! Sure makes biking seem exciting! :)I like this idea, the Samsung cases whole getting pregnant of creating overlooked cable connections aesthetically.